Description: Condition:100% Brand New Item Name:Carbon Fiber Upper Top Fuel Tank Guard Cover Technology:Autoclave Process, Cure Under 150 Degree Material:Prepreg Carbon Fiber (Dry Carbon) Advantages:Light & Super Strong Weave:3K Twill Finish:Glossy Material Type:Carbon Fiber Item Length:45cm/17.72inch Item Width:25cm/9.84inch Item Height:25cm/9.84inch Fitment: For Kawasaki Z1000 2013-2016 Package List: 1 x Carbon Fiber Upper Top Fuel Tank Guard Cover Notices: Ensure This Part Fits For Your Motorcycle Before Order. Be Sure Of Stability, It Is Recommended To Use Screw Fasteners For Installation. Professional Installation Recommended If you have any question , Please contact us firstly by email , we will follow your case until solved . Customer Satisfy ,we Satisfy. 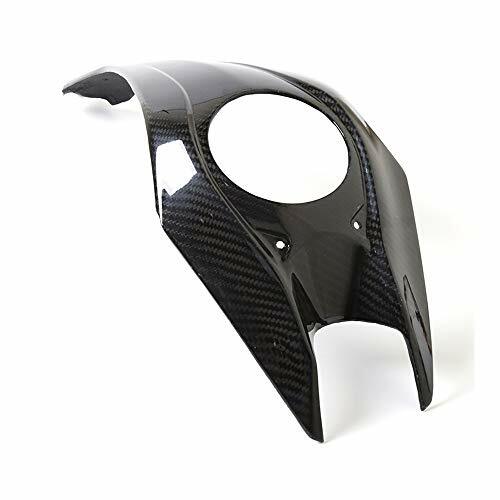 Specification: Condition: Brand new Material: Carbon Fiber Color: Carbon Fiber Style Package Weight: 58g Fitment: For Yamaha MT-07 2014-2017 For Yamaha FZ-07 2015-2017 Package List: 1 * Motorcycle Tank Mid Cover Note: 1. Monitors are not calibrated same, item color displayed in photos may be showing slightly different from the real object. Please take the real one as standard. 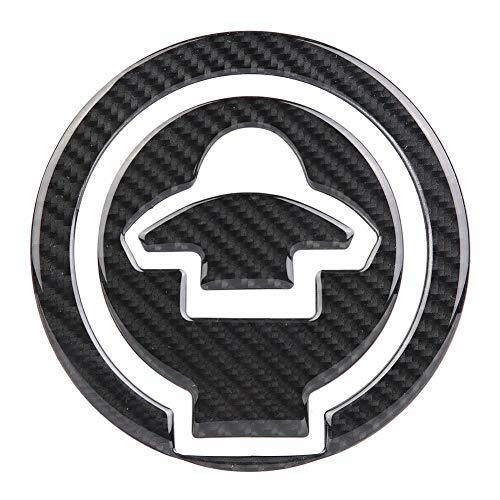 Specification: Condition: 100% Brand New Item Type: Stickers Car Material: Premium 5d Carbon Fiber Epoxy Weight: Approx. 16g / 0.6oz Fitment: For Yamaha YZF-R125 For Yamaha YZF-R15 For Yamaha YZF-R25 For Yamaha YZF-R3 For Yamaha MT-03 For Yamaha MT-25 For Yamaha M-slaz150 Package list: 1 * Stickers Car Note: Please keep your fuel tank lid clean and do not Polish your motorcycle with wax more than a week before using our fuel tank pads, as this will make the sticker unstable. 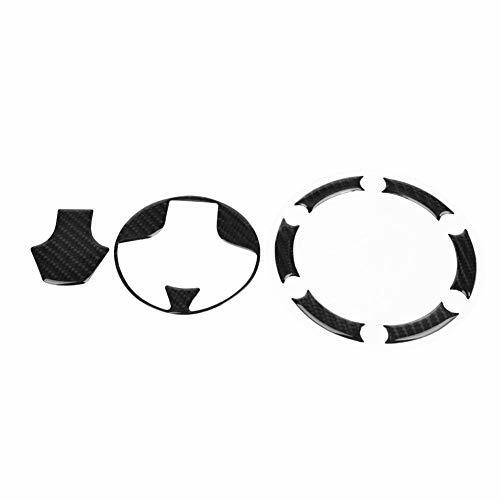 Specification: Condition: 100% Brand New Item Type: Stickers Car Material: Premium 5d Carbon Fiber Epoxy Weight: Approx. 14g / 0.5oz Fitment: For Kawasaki Zx-6r 636zx-10r GTR1400 Zx-14r Z1000 For Kawasaki Z750 / Z800 Er-6n / ER-6F VERSYS650 KLE650 For Kawasaki Zx-14r ZZR1400 GTR1400 For Kawasaki Zx-6r Zx-9r Zx-10r Zx-12r Z800 Z1000 For Kawasaki Z750 Er-6n / F Versys650 Kle650 Package list: 1 * Stickers Car Note: Please keep your fuel tank lid clean and do not Polish your motorcycle with wax more than a week before using our fuel tank pads, as this will make the sticker unstable. Features:To protect your fuel tank finish from paint damage caused by buckles, zippers, buttons, etc Easy to install, backing is self-adhesive, can be removed without damage to surface Waterproof and durable Material: Carbon Fiber Size: 11.5*11.5cmFitment:For Suzuki GSXR Series K1/K2/K3/K4/K5/K6/K7/K8/K9 For Suzuki TL1000R TL1000S SV400 SV650 SV1000 For Suzuki Bandit 250/400 77A For Honda CB400 CBR250/CBR400 For Honda Mirage 150 For Kawasaki KAWASAKI ZX-6R/10R/12R/14R For Kawasaki ZX9R Z1000 Z750 ZXR400 ZRX400 ZZR400 For Yamaha R1 R6 FZR250 XJR400/1200 For Yamaha YZF-R1/R6 FZ-1 FZ6Note:Please allow 1-10mm differs due to manual measurement,Thanks!Package included:1 x Moto Sticker1. Caswell Epoxy Gas Tank Sealer is completely ethanol resistant. 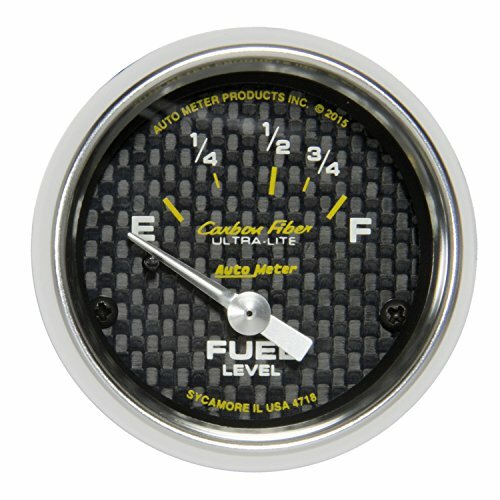 Works on all metal, plastic, fiberglass and carbon fiber tanks. Protects plastic tanks against ethanol weeping, which can cause paint jobs to fail. 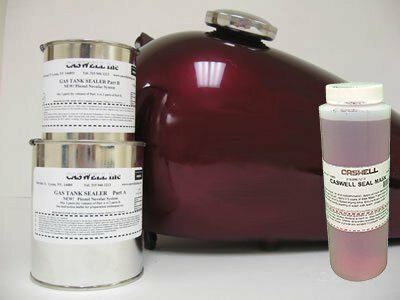 Caswell Seal Mask is used to protect your tank's expensive paint job from the epoxy sealer. No more worrying about drips, spills and other mistakes with the sealer ruining your paint. 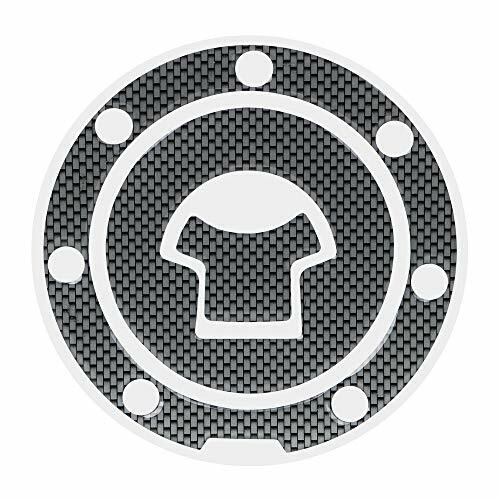 Seal Mask is completely safe on all painted surfaces and powder coatings. 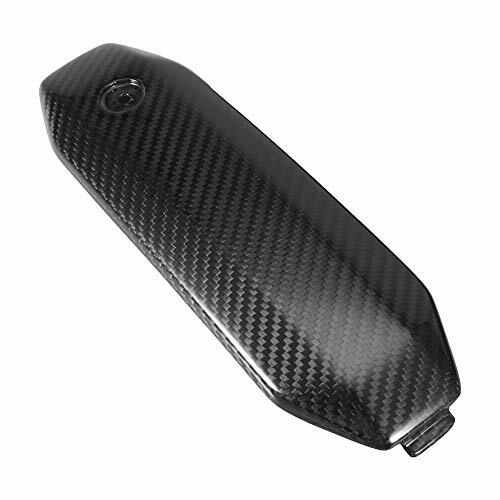 Want more Carbon Fiber Works Tank Cover similar ideas? Try to explore these searches: Buxus Topiary, Cuisinart Steamer Insert, and Prong Alligator Pinch Clips.